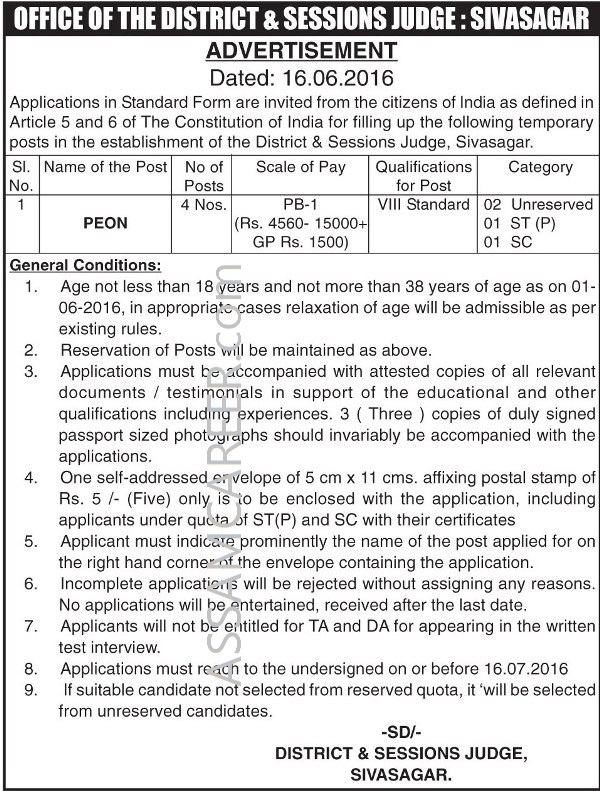 O/o District & Sessions Judge, Sivasagar. 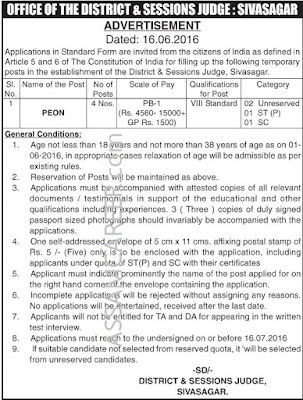 Applications in Standard Form are invited from the citizens of India for filling up of the following temporary posts in the establishment of the District & Sessions Judge, Sivasagar. Age: 18 to 38 years as on 01-06-2016.